If you use Shareaholic to power Social Media sharing on your website, you can now specify accounts that Twitter will suggest after someone tweets content from your website! 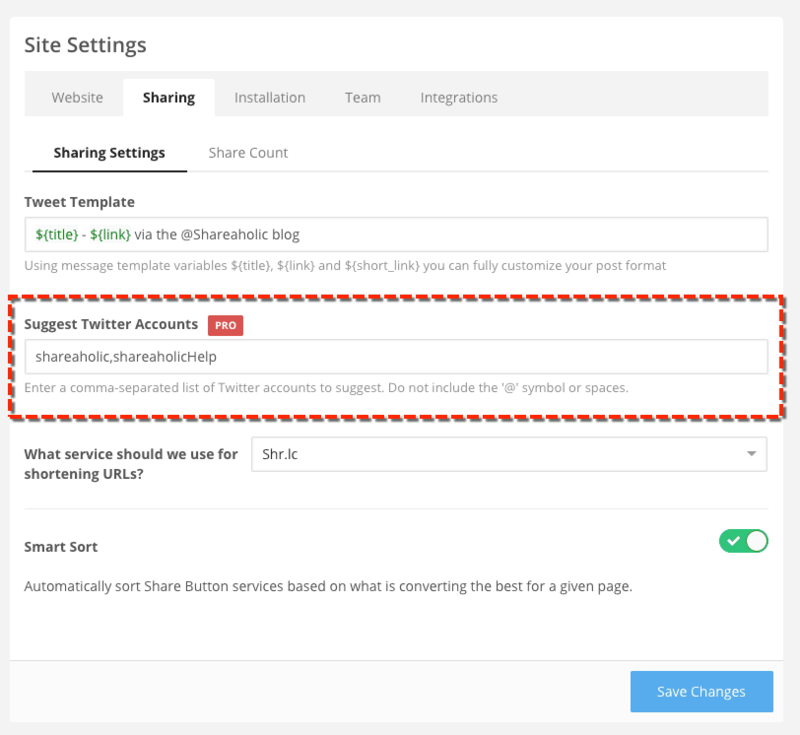 When you use Shareaholic’s Twitter Related Accounts feature, not only will your readers be able to easily share your content on Twitter, but they’ll also be given the option to follow any related accounts that you specify! By including your own Twitter handles in this list, you’ll be targeting already engaged readers to follow your content across the web, boosting your social media presence and strengthening your brand! This is an easy way to gain more followers and promote your Twitter feeds. Plus you’re not limited to only one Twitter account! If you have multiple Twitter accounts that you would like to recommend (say, a company Twitter account and accounts for blog authors), you can easily promote all of them in one go. This feature is one of many available to Pro subscribers. Upgrade now!